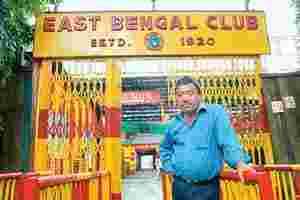 Not just for kicks: East Bengal Football Club manager Swapan Ball says influx of PIO players will boost competition. Izumi Arata is only half-Indian but that was just enough for the recruiters of Indian football. Last year, the 25-year-old moved from his native Japan to play for East Bengal Football Club. Now, he’s moved onto Mahindra United in Mumbai, which is pinning its hopes on the striker and midfielder to help the team retain its national championship title. Turns out that the return of the Indian diaspora is not limited to the sectors that sport suits and ties—many sports teams want to cash in on the trend as well. Arata, born to an Indian father and a Japanese mother, is the face of an initiative by a group of Indians in Germany and the UK to link talented players with Indian roots to clubs here. The programme is seen as one way for India to up its game, while giving players, who might see little field beyond the bench in Europe, a taste of the pros. Last year, the sport’s apex administrative body in the country, the All India Football Federation (AIFF), allowed local clubs to induct one PIO player each, in addition to the three foreign nationals already allowed. As in other companies that have allowed returnees to leapfrog into corner offices, those who’ve ventured to Indian shores—besides Arata, fellow Indian-origin footballer Nichlas Nath of Sweden played for a Goa club last year—tend to be second-tier players. 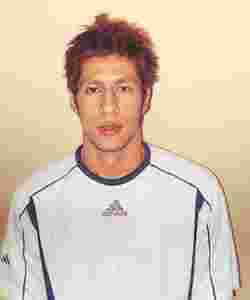 Before coming to India, Arata played professionally for Albirex Niigata in Singapore’s mediocre S-League, and Mitsubishi Motors Mizushima club in the second division of Japan’s J-League. Football’s repatriates, if you will, are a new development, as generally, successful athletes tend to flee India for better support, sponsorships and salaries. For years, Indian cricketers have played in the English county leagues, both for experience and money. Of late, hockey stars have begun heading to Europe to play in the Dutch, German and Spanish leagues. Basketball players, too, head for countries such as Germany and Australia, including women hoopsters: Geethu Anna Jose plays in the Big V pro league down under. And a few years ago, footballer Baichung Bhutia signed up with second division English club Bury FC for a season, as well as Malaysia’s Perak football club. “I came here as India is one of my countries," says Arata, whose Indian name is Neelkant. But he also admits despite the Indian rupee being weaker than the Singapore dollar (one Singapore dollar is worth a little over Rs26), he’s being paid “much more" by Mahindra than Albirex. Izumi Arata, who has an Indian father, last year moved from his native Japan to play for the club. He’s now moved on to Mahindra United in Mumbai. At least two footballers with Indian connections have made it big in Europe’s high-octane soccer circuit—Vikash Dhorasoo (Olympique Lyon, France), and Michael Chopra (Sunderland FC, England). And neither seems to be too enamoured by football in India. For good reason. Dhorasoo was a member of the French squad in last year’s FIFA World Cup, while Chopra hopes to make it to the English team. “Those playing at higher levels are initially reluctant as they don’t see India as a football nation and see our FIFA world rankings," admits Arunava Chaudhury, the Germany-born and -based founder of Indianfootball.com. “The ones playing at (the) lower level all want to play for India, but we ourselves question if they will be of any real help to the Team India set-up," Chaudhury said in an email interview. India is ranked 151 on FIFA’s latest rankings of July, compared with France’s No. 4 spot and England’s No. 12. And India’s hopes of qualifying for the World Cup remain just that—hopes. Swapan Ball, manager of East Bengal football team that had Arata last year, doesn’t speak highly of the Indo-Japanese player. “He couldn’t do well, he didn’t live up to even 50% of our expectations," said Ball. The club isn’t looking at any more PIOs currently. “Anyone can say ‘I play well.’ We need reference," Ball said. He, however, concedes their influx would increase competition and goad local players to perform. For his part, Arata says the problem lay with alien conditions: hard grounds and sweltering heat. Moreover, FIFA regulations also require a player to have the passport of the country he wants to play for. “A foreigner working for an Indian company or even the Indian government is not the same as playing for India," said AIFF general secretary Alberto Colaco. In some cases, those looking to India to play pro football might do so because they have little other option, said Chaudhury. He said PIOs across the world first try and play for the national team of the country that they were born in, and on failing, look towards India. As a case in point, he names footballer Harpal Singh, who, as a young Leeds United Academy player, was dreaming of donning the England jersey. Today, forced to play in the Irish league for Dublin club Bohemian FC, and “having grown older and wiser", Singh believes India is an option, Chaudhury said. Meanwhile, what is bound to be a problem for experienced players is the pay structure for footballers in India. The most expensive player, say people familiar with the sport here, is Brazil’s Barreto, who’s being paid Rs60 lakh by Kolkata’s Mohun Bagan annually, followed by team-mate and Indian captain Bhutia at Rs40 lakh. In contrast, even a fading player such as Dublin’s Singh is believed to earn about £1500 a week, or about Rs6.24 crore annually. The more fancied Chopra, who was sold to Sunderland FC by his former club for £5 million, reportedly earns between £8,000 and £10,000 a week, or about Rs6.4 lakh and Rs8 lakh. Annually, that would cost an Indian club between Rs33.28 crore and Rs41.6 crore. There are people who are sceptical of the initiative to draft PIO footballers—an issue which has come up before. In a 2002 article titled, The Local, National and Global in Indian Football: Issues of Power and Identity, Paul Dimeo, a lecturer in the department of sports studies at Stirling University, Scotland, wrote: “It is an NRI (non-resident Indian) view of Indian football and thus enhances the interests of NRIs and their partners… There are all sorts of agendas, partnerships, collusions and conflicts." Dimeo declines to say if he still harbours the same view noting he hadn’t been following Indian football. Chaudhury insists his intentions are not commercial, adding: “We are doing this to help and strengthen Indian football."